Doha Training Center W.L.L. 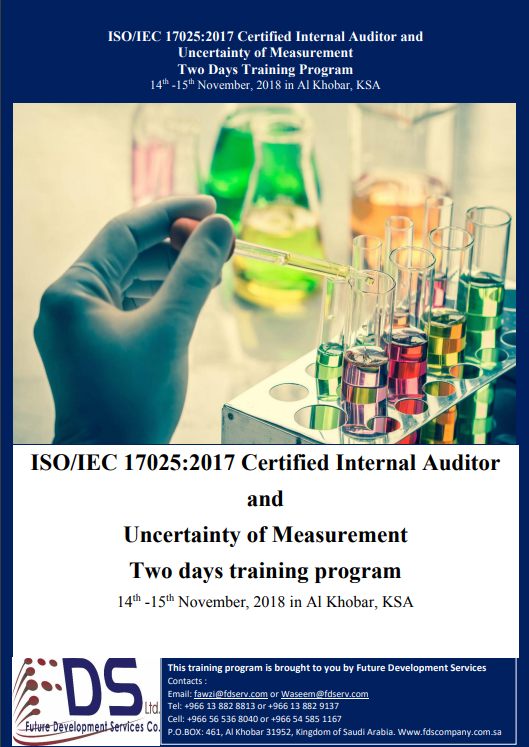 and Global Manager Group had jointly organized the ISO/IEC 17025 Internal Auditor and Measurement Uncertainty Course ??? 2013 at Doha, Qatar on 11 and 12 March, 2013 in Hotel Holiday vila. 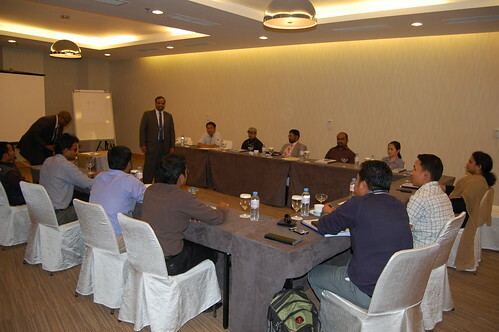 The ISO 17025 training program event has been successfully completed by the GMG and DTL associations. Total 14 members from various organizations like Qatar University, Prompt Qatar, EDAS, International Testing Laboratory, Al Jabour, Qatar calibration, Al zazira Testing Lab and Doha technical lab have been participated in this ISO 17025 internal auditor course. DTC and Global Manager Group were jointly organized such event every qarter in Qatar to provide awareness and knowledge in the area of ISO/IEC 17025 accreditation, ? ?Uncertainty measurement and other Quality assurance techniques. ? ?Global Manager Group and Doha Training Center got overwhelmed response of many Qatar and GCC country laboratories for organizing such event in the Qatar. 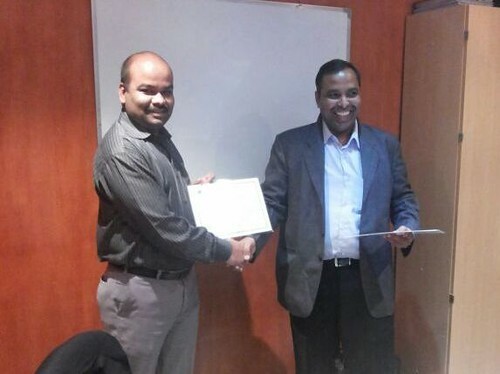 The ISO/IEC 17025 training was delivered by Mr. Devang Jhaveri, owner of Global Manager Group, having wide knowledge and more than 20 years of experience in the field of ISO certification consultancy. The training was highly technical and informative for all the participants and it will be helpful and beneficial for their work and education. The 2 days training program has helped them to learn about iso 17025 system awareness, ISO 17025 internal auditing, measurement uncertainty techniques, process of iso 17025 accreditation, ISO/IEC 17025 requirements and ISO/IEC 17025 internal audit process and much more. After successfully completion of this course, all participants have been awarded with a certification for ISO/IEC 17025 auditor training. DTC or Doha Training Centre was established in 2004 and is registered entity in Qatar. It has commercial license to operate in the fields of Management Training, Information Technology and Consultation. DTC aims at expending the consultancy operations for both Government and Private Sector companies Qatar. Global Manager Group is leading Management and ISO/IEC 17025 consultant of the world. The company has over 22 years of experience, working with industrial, R & D, and Laboratories as well as management systems consultancy. So far Global Manager Group has successfully conducted more than 50 courses on ISO/IEC 17025 and many laboratories have got accreditation for ISO/IEC 17025 under GMG?? ?s project management in GCC including Saudi ARAMCO, Yanbu Refinery, Gulf Laboratory, Buzwair, NAP Laboratory, Riyadh Refinery, Al-Hoti, Ministry of Works (Bahrain), Q Chem., Gulf Lab LLC, International Laboratory, Doha Technical Lab, Qatar Engineering Lab, Qatar Industrial Lab, Doha technical lab, Al Jazeera lab etc. ? 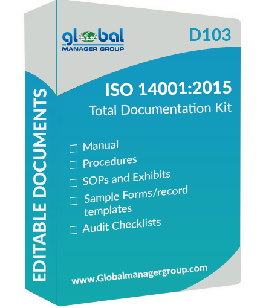 ?Global Manager is a leading ISO consultancy company having clients for consultancy on ISO 9001, ISO 14001, OHSAS 18001, ISO 22000, ISO 17025, ISO 17020, ISO 17024, ISO 27001, SA 8000, RC 14001, SEI-CMMI, NABH hospital accreditation,ISO 20000, Ce mark, PED and many more certification and having reputation globally for 1800 successful clients in 35 countries.